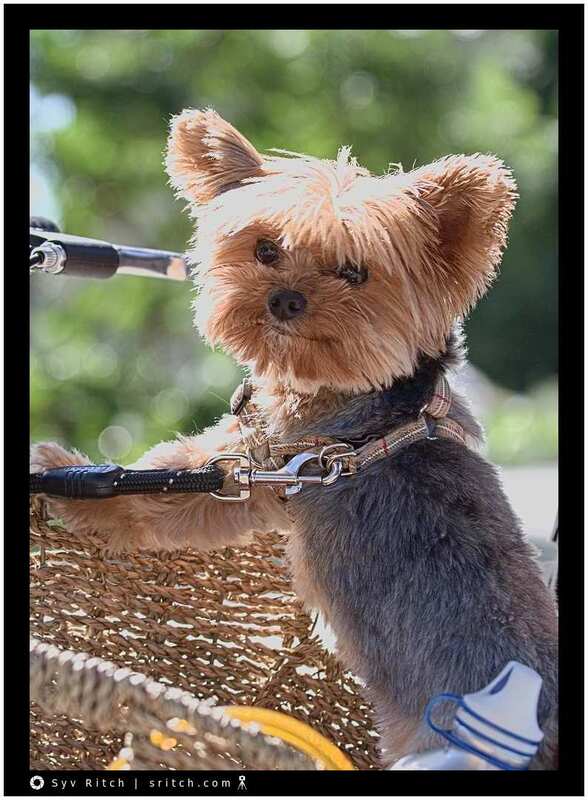 This Yorkie was patiently waiting in the carrier basket and her leash is tied to the handle bar so she can’t jump out. I didn’t see the owner, she (it was a bicycle for women) must have been in one of the stores along the street. The bike was against a bicycle rack but the bike wasn’t tied to the bike rack so anybody could have stolen the bike and the dog.